The third and final Bruins Give Back volunteer service event of Kellogg Community College’s Fall 2018 semester will be held from 9 a.m. to noon Friday, Nov. 30, at Springfield Middle School. During this month’s event, KCC volunteers will serve alongside Springfield Middle School students to create small gifts and ornaments for kids in a local program at Haven of Rest Ministries. All KCC students and employees are invited to serve at this and future Bruins Give Back events, and can sign up online via the form available at https://goo.gl/forms/nEF1rBcprHeIvcej1. All participants receive a free Bruins Give Back T-shirt. 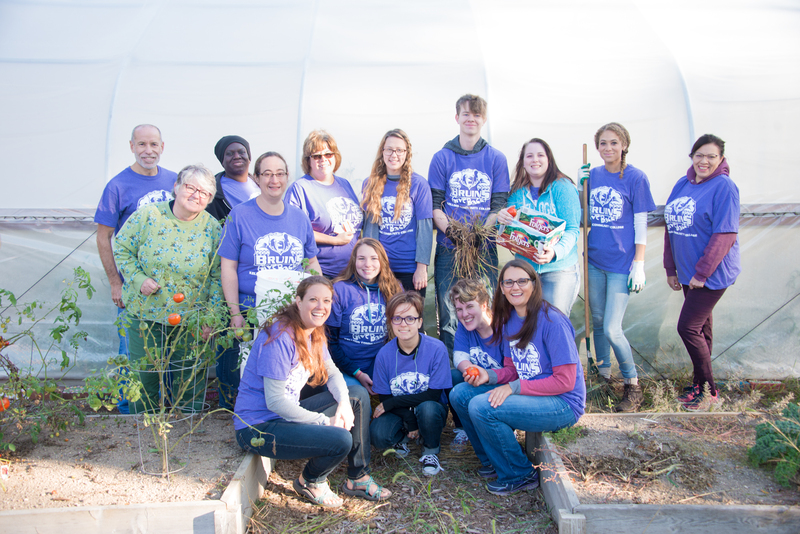 The first Bruins Give Back of the Fall 2018 semester was held Sept. 28 in the community garden on KCC’s North Avenue campus in Battle Creek; the second was held Oct. 26 at Binder Park Zoo.